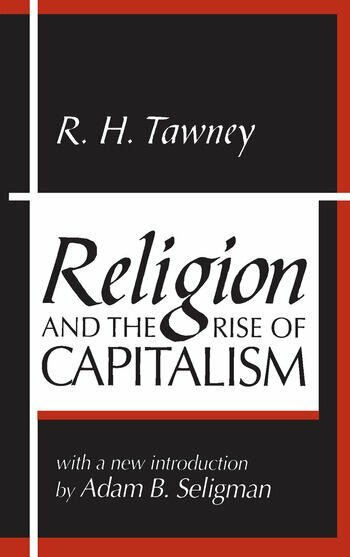 In one of the truly great classics of twentieth-century political economy, R. H. Tawney addresses the question of how religion has affected social and economic practices. He does this by a relentless tracking of the influence of religious thought on capitalist economy and ideology since the Middle Ages. In so doing he sheds light on why Christianity continues to exert a unique role in the marketplace. In so doing, the book offers an incisive analysis of the historical background of present morals and mores in Western culture.Religion and the Rise of Capitalism is even more pertinent now than when it first was published; for today it is clearer that the dividing line between spheres of religion and secular business is shifting, that economic interests and ethical considerations are no longer safely locked in separate compartments. By examining that period which saw the transition from medieval to modern theories of social organization, Tawney clarifies the most pressing problems of the end of the century. In tough, muscular, richly varied prose, he tells an absorbing and meaningful story. And in his new introduction, which may well be a classic in its own right, Adam Seligman details Tawney's entire background, the current status of social science thought on these large issues, and a comparative analysis of Tawney with Max Weber that will at once delight and inform readers of all kinds.